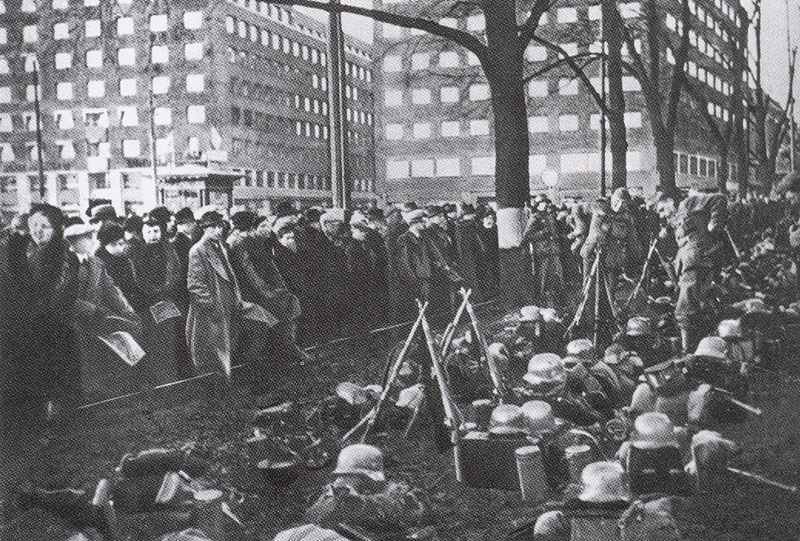 Inhabitants of Oslo are curiously watching the German troops. British North Western Expeditionary Force begins landing at Harstad (near Narvik) and Namsos (north of Trondheim). General von Falkenhorst, commander of German Forces in Norway, threatens draconian measures against civilian resistors. RAF bombs Stavanger-Sola airfield and seaplanes in Hafrs Fjord. Norwegian Fokker biplanes bomb Ju 52 seaplane transports on lake Harting.